As you already know, GM diet and soups go hand in hand. Earlier we’ve seen how to prepare the Wonder soup. Today, let us see another vegetable soup called the ‘GM Diet Power Soup‘. There are mainly two benefits of having soups on any diet program. 2) If prepared using the right ingredients, then it will help you in getting rid of those extra pounds easily. Like the other vegetable soup recipes for weight loss, this Power soup is also pretty easy and fast to cook. You can have unlimited servings of vegetable soups on any day of the General motors diet program. 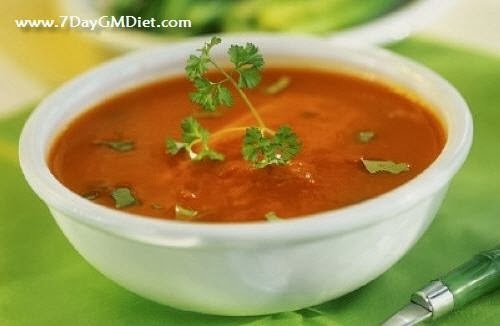 How to Prepare GM Diet Power Soup? First, let us look at the ingredients or items required to prepare the power soup. In a medium size pot, pour some water and then add onions, tomatoes, green peppers along with some salt and pepper as needed. Once it is half boiled, add the celery and cabbage mix and leave it until all the ingredients are fully boiled (hint: they are tender). Once completed, serve it hot. That’s it! Your GM diet power soup or tomato soup is ready. Don’t add anything extra other than the mentioned ingredients. You can have this soup even when you’re not on the diet to stay fit. People normally like to have the Tomato soup in the monsoon and winter seasons. It is low in fat, filling and healthy too. People who complement their diet with these healthy soups tend to lose more weight than those who just stick to the diets. 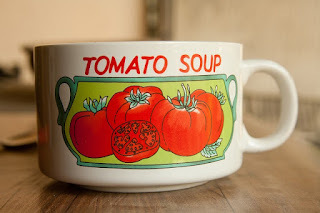 There are many health benefits of including this tomato soup in your diet regularly. Let us now discuss all the advantages in detail. The major benefit of having the soup made from tomatoes as one of the main ingredients is that it aids in effective weight loss. Most people, especially the dieters replace their dinner with a healthy soup as it helps in burning those extra calories from their body. It is low in calories, fats and rich in fiber and water content, which makes you feel full for a longer duration. You can use the Olive oil to prepare the soup. This is good, especially if you’re trying to lose weight. The tomatoes are known for their awesome ability to control the bad cholesterol levels in our body, thus reducing the chances of getting high BP. The soup is very good for the heart and is also rich in Potassium and Vitamin B. The tomatoes contain antioxidants like Lycopene and Carotenoids, both are efficient in fighting cancer. So, people who have the soup made from tomatoes regularly, or at least on alternative days can prevent colon, prostate or breast cancer easily. Are you an avid smoker and don’t like to quit the bad habit? Then you’re damaging your health for sure. Smoking can affect your lungs and several internal organs badly. So, if you want to control the damage caused due to smoking, it is advised to drink a bowl of tomato soup every day. The chlorogenic and coumaric acids present in the tomatoes help in eliminating the carcinogens that damage your body and cause several smoking related health problems. Want to get a glowing and flawless skin, then you should definitely have a cup of hot tomato soup. They contain Vitamin A, Calcium and Vitamin K. On one side, they help in fighting acne and pigmentation, while on the other end you get strengthened bones, teeth and vision. These are just a few major health benefits of the tomato soup. It is very beneficial for those who are looking to shed weight. However, you should not rely only on the tomatoes as you’ll be missing other essential nutrients from other vegetables. So, it is advised to include a variety of greenery in your soup along with the tomatoes. Doing so will enhance the taste of the soup too.